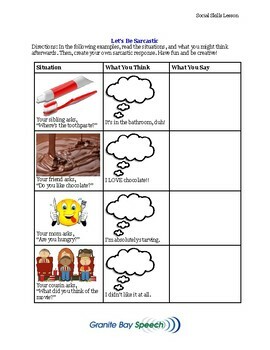 This activity is wonderful for upper elementary through high school! 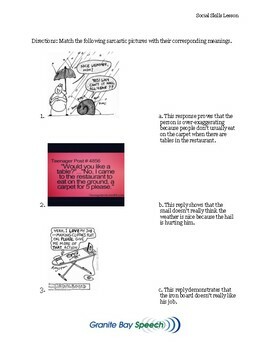 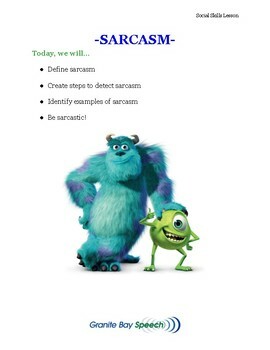 It can be difficult to teach sarcasm to children with social impairments... so we are here to help! 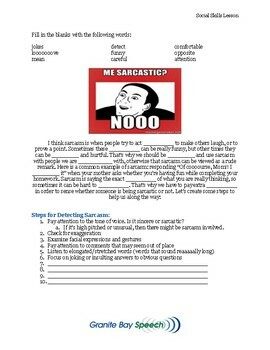 This activity helps to define sarcasm, create steps to detect sarcasm, identify examples of sarcasm, and also... help student to be sarcastic!